A Trip to the Wonderful Christmas Markets in Bruges! The Coach will be picking up in Faversham by the Macknade Centre, Longreach in Whitstable, Binny’s Londis in Blean, Your Music School in Wincheap, the White Horse Pub in Bridge and the Black Horse Pub in Densole. We will then make our way to the Eurotunnel in Folkestone for the Crossing to France. We then will make our way to Belgium and to Bruges. Bruges is a magical city, especially in deep winter when its cobbled streets are alive with festivities, glowing with Christmas lights. 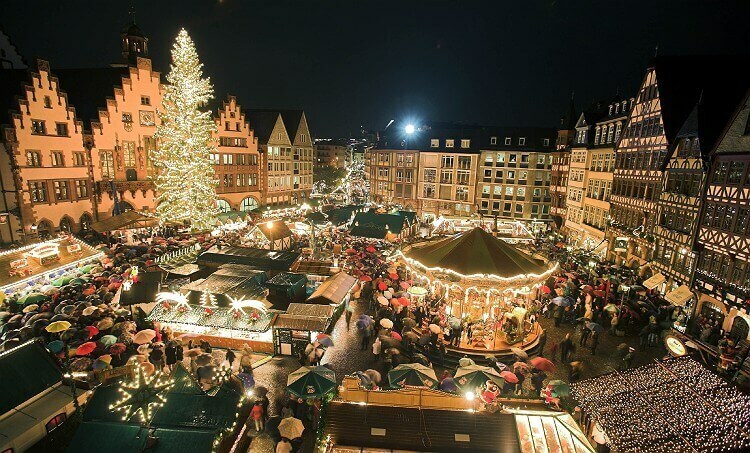 To add to the atmosphere, an ice rink is built on the Bruges Market Square close to the many food and festive gift stalls, which offer traditional seasonal delights. Bruges is a unique ancient Flemish city with a captivating medieval centre. Much of the architecture is lovingly preserved and the streets are largely traffic free, which makes it a joy to explore on foot. Bruges is also a chocolate lover’s paradise! As well as the numerous chocolate shops, do not miss the Chocolate Museum or Pralinette – Bruges’ largest and best praline store. On the way to Bruges we will make a short stop at the P&Js Chocolate Factory.